Goris Electric Ltd. is a full service and sales Generac Generators dealer in southern Ontario. 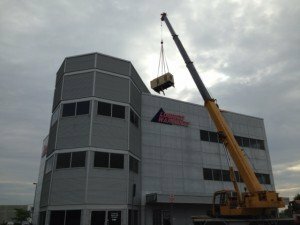 Not only do we provide installation services by certified Generac trained technicians, we also offer annual maintenance services, replacement parts, sales and rental services. Whether it’s a standby power system for a large data centre, a backup generator powering the family home through an outage or a portable generator powering tools at the job site, Generac meets the power needs of consumers and businesses alike. Looking to rent? We offer reliable solutions for all your standby power needs. From 3 kW to 80 kW, perfect for storm damage, special events, remote power, etc. Daily, weekly and monthly rates available. Book your Yearly Maintenance check up now!